Our eyes are only attuned to a narrow band of possible wavelengths for electromagnetic radiation, between around 390-700 nanometers. If you could see the world in different wavelengths, you’d be aware that, in a built-up area, you’re illuminated even in the dark, constantly irradiated by infrared, microwaves, and radio waves. Some of this is ambient electromagnetic radiation given off by objects as their electrons wiggle around, and some of it carries the radio and Wi-Fi signals that form the backbone of our communication systems (which you are probably using to read this right now). All of this radiation also carries energy. What if we could harness it? Researchers from MIT, in a study appearing in the journal Nature, recently took a step towards practically realizing this goal. They have developed the first fully-flexible device that can convert energy from Wi-Fi signals into usable, direct-current electricity. Any device that can convert alternating current (AC) waveforms into direct current (DC) is referred to as a rectenna: it combines an antenna and a rectifier. The antenna picks up the electromagnetic radiation, converting it into an alternating current. It then passes through a diode, which converts it to direct current for use in electrical circuits. Rectennas were first proposed in the 1960s, and even used to demonstrate a model helicopter powered by incident microwaves as early as 1964 by the inventor William C. Brown. At that stage, futurists were already dreaming of wireless power transmission over long distances, and even using rectennas for space-based solar power, collecting power from satellites and beaming it down to Earth. Now, new nanoscale fabrication techniques are allowing them to be used for a greater range of applications. This was demonstrated in 2015, when the first optical rectenna, capable of dealing with the high frequencies in the visible spectrum, was constructed from carbon nanotubes by researchers at the Georgia Institute of Technology. As yet, these new optical rectennas are low in efficiency, around 0.1 percent, and therefore can’t compete with the rising efficiency of photovoltaic solar panels. But the theoretical limit for rectenna-based solar cells is likely higher than the Shockley-Quiesser limit for solar cells, and can approach 100 percent if illuminated by radiation of a specific frequency. This makes efficient wireless power transmission feasible. The novel part of the device fabricated by MIT takes advantage of a flexible radio-frequency antenna that can capture wavelengths, including those associated with Wi-Fi signals, and convert them to AC current. Then, in place of a traditional diode to rectify that current to DC, the new device uses a “two-dimensional” semiconductor that’s just a few atoms thick, creating the voltage that could be used to power wearables, sensors, medical devices, or large-area electronics. The new rectennas are made of a 2D material called molybdenum disulfide (MoS2), which is just three atoms thick. Amongst its many fascinating properties is the reduction in parasitic capacitance—the tendency of materials in electrical circuits to act like capacitors, storing a certain amount of charge. In AC electronics, this can limit the speed of signal converters and the ability of devices to respond to high frequencies. The new molybdenum disulphide rectennas have parasitic capacitance an order of magnitude below those which have been developed so far, enabling the device to capture signals up to 10GHz, including in the range of typical Wi-Fi devices. Such a system would have fewer of the problems associated with a battery: its life cycle could be much longer, the electrical devices would charge themselves with ambient radiation, and there’s no need to dispose of the components as one must with batteries. Using 2D materials allows flexible electronics to be manufactured cheaply and “solution-processed,” which potentially allows the device to be spread across large areas to collect radiation. One can imagine a museum or roadway coated in sensors that might be powered by this flexible device, which would be far less expensive than using rectennas made of traditional silicon or gallium arsenide semiconductors. 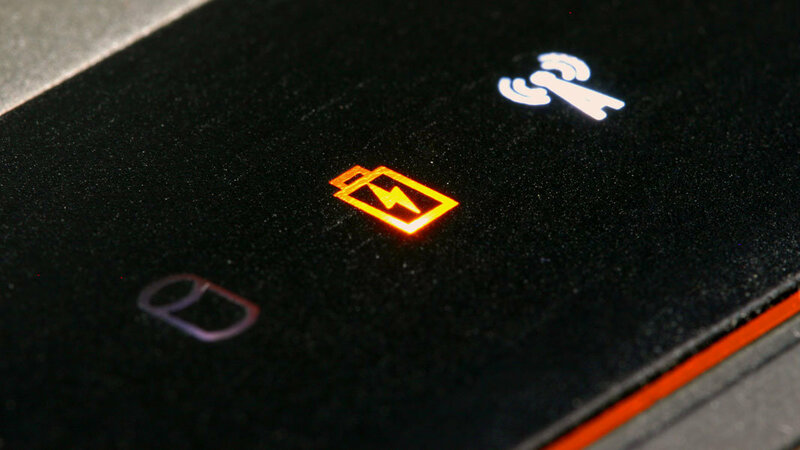 Will you be able to charge your phone using Wi-Fi signals? Unfortunately, this seems extremely unlikely, although it has been a common theme for free-energy scams over the years (amazingly, despite the fact that their claims were outlandish, plenty of people reported on a 2010 device that claimed to charge phones from ambient Wi-Fi in 90 minutes as if it were real). The issue lies in the energy density of the signals. In the US, the maximum power that a Wi-Fi hotspot can use to broadcast its signals without a special broadcast licence is 100 milliwatts (mW). That 100mW is radiated in all directions, spreading over the surface area of a sphere from the hotspot. Even if your mobile phone was collecting all of that power with 100 percent efficiency, it would still take days to charge an iPhone battery, and the small surface area of the phone and its distance from the Wi-Fi hotspot will severely limit the amount of power it could gather from these signals. In the case of the new MIT rectenna device, it can capture around 40 microwatts of power when exposed to a typical Wi-Fi signal density of 150 microwatts: not enough to power an iPhone, but plenty for a simple display or a remote wireless sensor. For this reason, it’s far more likely that wireless charging for larger gadgets will rely on inductive coupling, which can already power devices across small gaps of around one meter or those in direct contact with the wireless charger. Yet ambient RF energy can be used to power certain kinds of devices—as anyone who has ever used a crystal radio set can tell you—and the forthcoming, much-hyped Internet of Things will provide no shortage of devices; one of the major drives in electronics R+D is to create low-power, compact sensors like wearable temperature sensors or sensors integrated into robotic components. This would dispense with the need for constantly recharging or replacing batteries in every device. The device’s current performance efficiency is around 30-40 percent, compared to 50-60 percent for traditional rectennas. Along with concepts such as piezoelectricity (materials that generate power when physically compressed or stretched), electricity generated by bacteria, and Seebeck devices that generate electricity from ambient heat and thermal fluctuations, the race is on to find the power sources for the micro-electronics of the future.